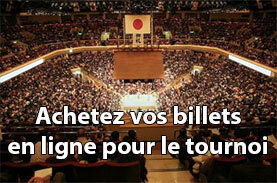 Le yokozuna Kisenosato n’a rien pu faire face à l’assaut explosif du maegashira Tochinoshin. Le yokozuna Hakuho n’est plus qu’à huit victoires du record de Kaio (1047) après un combat rapide contre Shodai. Désormais seul yokozuna invaincu, Hakuho a mis a terre Shodai en un clin d’œil. Le mongol a littéralement secoué son adversaire par une claque au visage au moment du tachiai ce qui a mis à genoux le maegashira 1. Takakeisho est tombé entre les mains du yokozuna Harumafuji qui a remporté son premier match du tournoi. C’était la première fois que les deux hommes s’affrontaient. Les deux autres grands champions, Kisenosato (1-2) et Kakuryu (2-1), ont eu une mauvaise journée en se faisant respectivement battre par les maegashira Tochinoshin (2-1) et Hokutofuji (2-1). Le bras gauche blessé de Kisenosato lui a de nouveau coûté, Tochinoshin a réussi à garder sa main forte sur la ceinture du yokozuna. Une fois une solide prise trouvée, le géorgien a labouré vers l’avant jusqu’à faire sortir Kisenosato bien incapable de compter sur un seul bras. 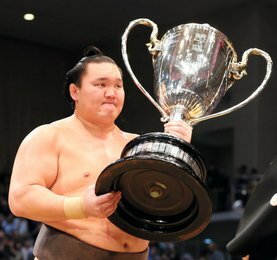 Hokutofuji a vaincu Kakuryu lors de son premier match contre un yokozuna et remporte son premier kinboshi. Les trois ôzeki – Takayasu (2-1), Terunofuji (1-2) et Goeido (1-2) – ont remporté chacun une victoire convaincante. Yokozuna Hakuho closed within eight of Kaio’s all-time win record of 1,047 after making quick work of top-ranked maegashira Shodai at the Nagoya Grand Sumo Tournament on Tuesday. 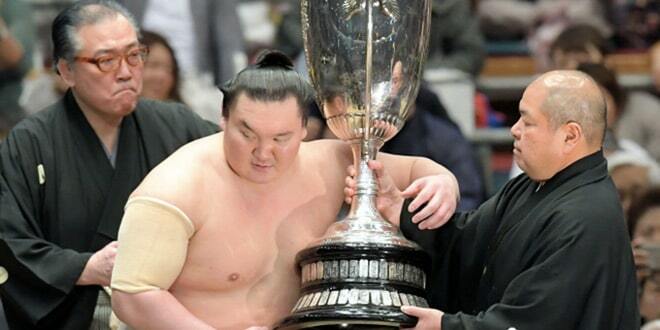 Hakuho remained perfect through the third day of the 15-day meet, hammering Shodai (1-2) in a heartbeat. The Mongolian literally rattled his opponent with a hard slap to the face that buckled Shodai’s knees. After that Hakuho needed no more than a nudge to send Shodai to the ground. Shodai said he felt his body go after being swatted by Hakuho’s right hand. Hakuho’s 1,039th career victory left him six back of the late Chiyonofuji, who is second on the all-time list. 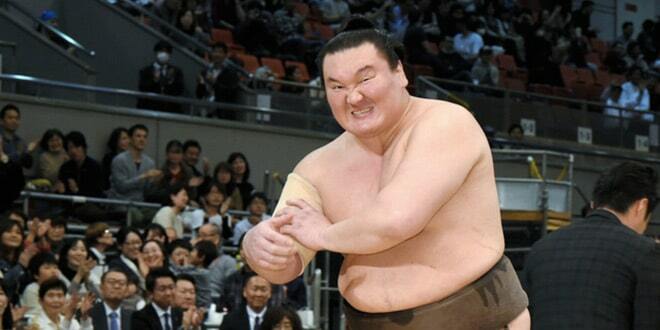 On Wednesday, Hakuho will face No. 1 maegashira Takakeisho (1-2). Takakeisho on Tuesday went down at the hands of yokozuna Harumafuji, who won his first bout of the tournament in his maiden career meeting with Takakeisho. The other two grand champions, Kisenosato (1-2) and Kakuryu (2-1), had a rough day at the office no thanks to the two second-ranked maegashira, Tochinoshin (2-1) and Hokutofuji (2-1), respectively. 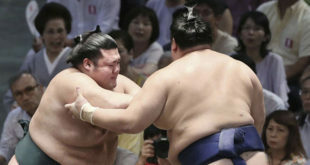 Kisenosato’s injured left arm again cost him, Tochinoshin successfully keeping the yokozuna’s strong hand off his belt. Once Tochinoshin got the inside grip with his right, the Georgian plowed forward with Kisenosato unable to counter on essentially one arm. Hokutofuji defeated Kakuryu in his first matchup against a yokozuna and was over the moon following his surprising win. The three ozeki — Takayasu (2-1), Terunofuji (1-2) and Goeido (1-2) — won on the same day for the first time at this tourney.